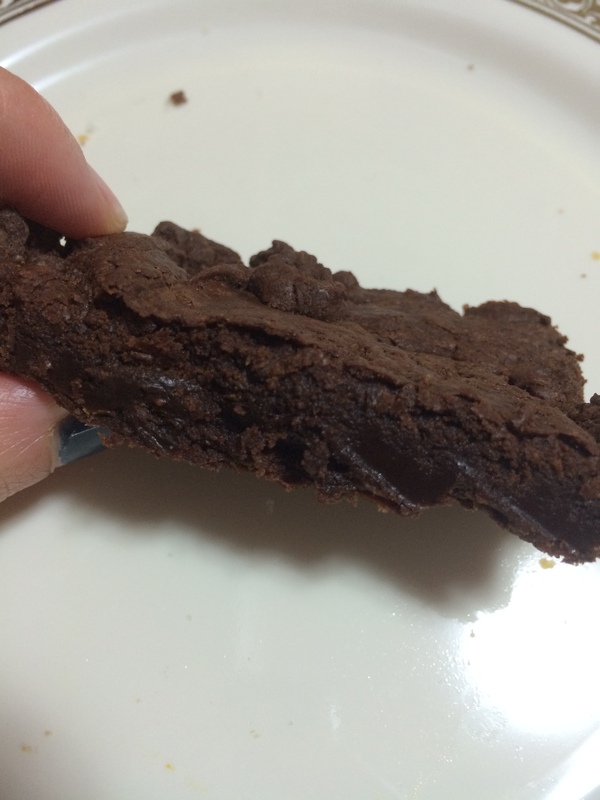 Brownies | You Cooked What? I asked a foodie group on FB to suggest a dessert that would travel easily as we were going to my brother in Tel Aviv via the train. One of the suggestions was Nigella Lawson brownies. I googled and found this recipe. Now, I have to admit, I have never made regular* ‘from scratch’ brownies. I’ve always used a box mix. Never again! I am never ever buying box mix brownies again. These were so easy and so amazingly yummy! Will definitely be making them again and again. And again! I used slightly different quantities, mainly because they are the amounts I had available. And it turned out ok, so I am giving you what I used. If you prefer, click on the link above for the original recipe. 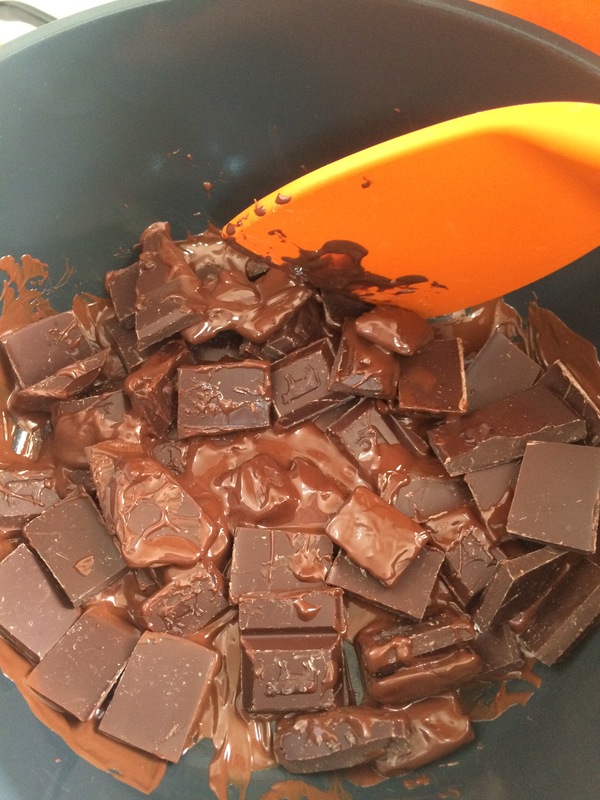 In a large pan, over a low heat or in a double boiler, melt the margarine and chocolate (break the chocolate into squares so it melts evenly). While that is melting mix your eggs, sugar and vanilla in a separate bowl. 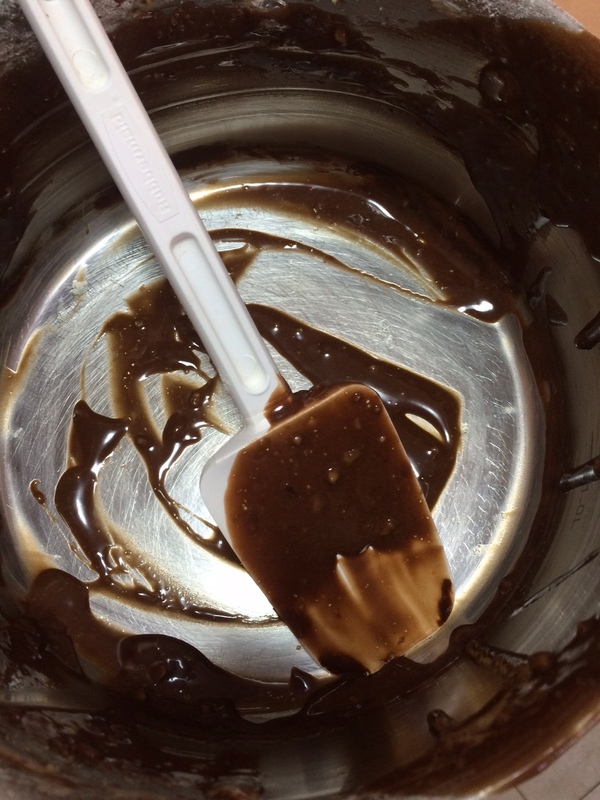 Check on your butter and chocolate and give it a stir to make sure that it is melting properly. Measure out your flour and add the pinch of salt. Once your marge and chocolate are melted remove from the heat and let cool for a few minutes. While it is cooling, throw the walnuts into the blender and whiz until they are mostly chopped finely, leaving a few larger chunks if you like. Now, add the egg mixture to the chocolate mixture while beating with a hand held beater or in your mixer, the reason you are beating while pouring is so that the eggs don’t scramble in the hot chocolate. 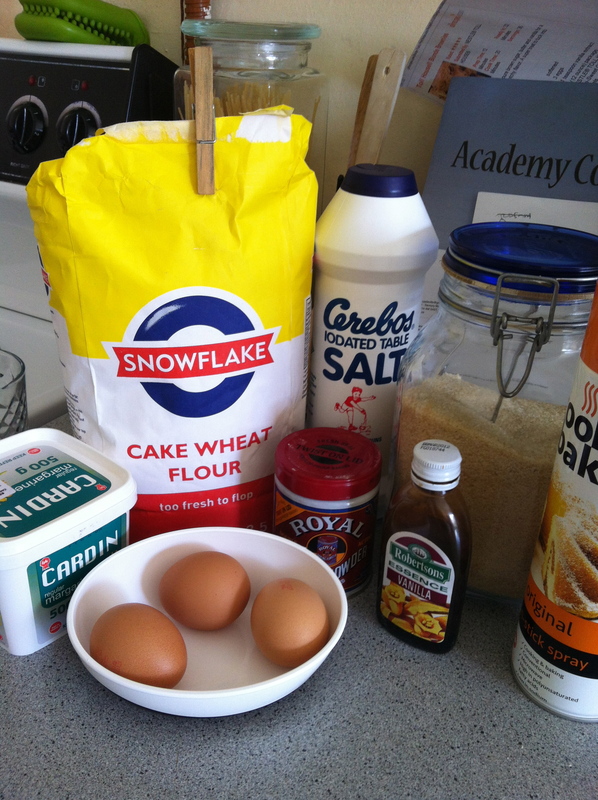 Once that is mixed together well, add the flour a bit at a time until it is completely mixed in. Lastly mix or fold in the walnuts. In a deep pan lined with baking paper, pour in your mixture. There will be mixture that doesn’t fit in the pan (regardless of how big the pan is, there WILL be left over mixture), make sure your kids are not around and using a spoon or spatula, scoop all that left over mixture into your mouth, thank me later! 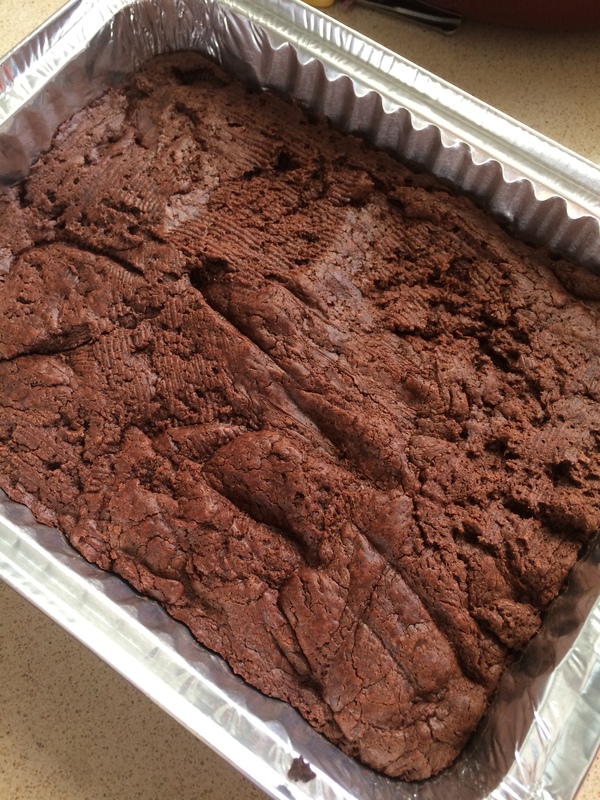 Bake the brownies at 180°C for about 25 minutes. The top of the brownies will look pale and slightly bubbly. Remove from the oven and allow to cool for an hour or so. Slice the brownies straight in the pan, you should get about 32 pieces. Serve with whipped dairy free cream and enjoy. Oh! These are even better the next day, if any of them survive that long! Pure decadence! 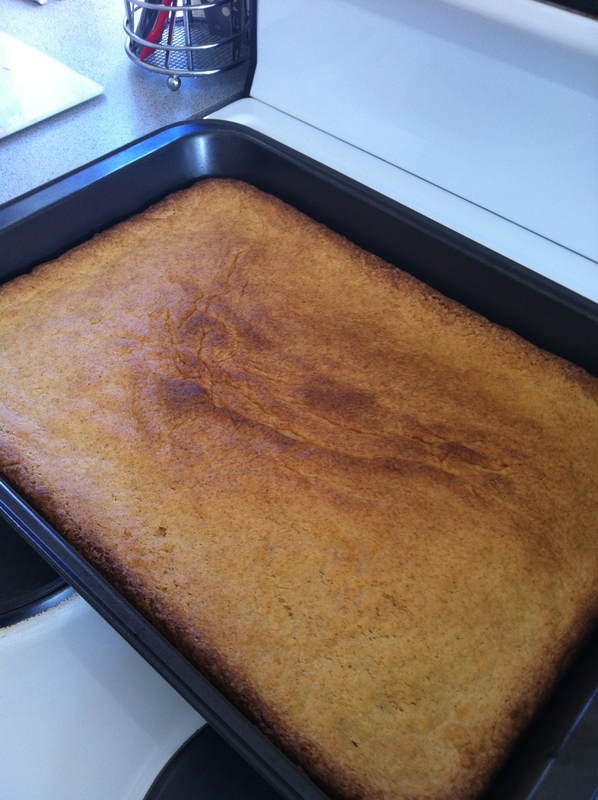 This cake comes out with a soft gooey centre and a thin crispy top. It is very very rich and very very delicious. Break the chocolate into pieces and slowly melt it over a low heat. Once the chocolate is almost completely melted, take it off the heat. While continuously, briskly, stirring the chocolate, add the beaten egg. Make sure to stir fast so that the egg doesn’t cook! Add the potato flour and combine. Transfer the ‘dough’ into a small, low sided pan. Bake for 12- 15 minutes at 180°C. Serve with cold custard or vanilla ice cream. 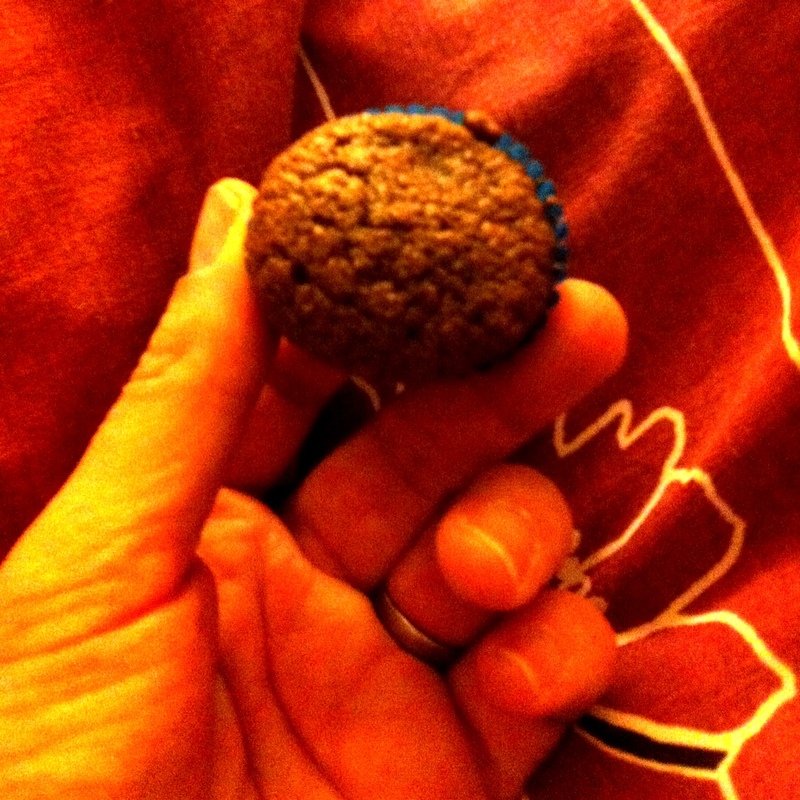 Really bad photo, REALLY good brownie! When I was a kid I went to a holiday cooking school. We made the best recipes ever. Easy, tasty and quick. I kept an A4 book of all my recipes. Somewhere along the line, between moving from one place to another I lost my recipe book. 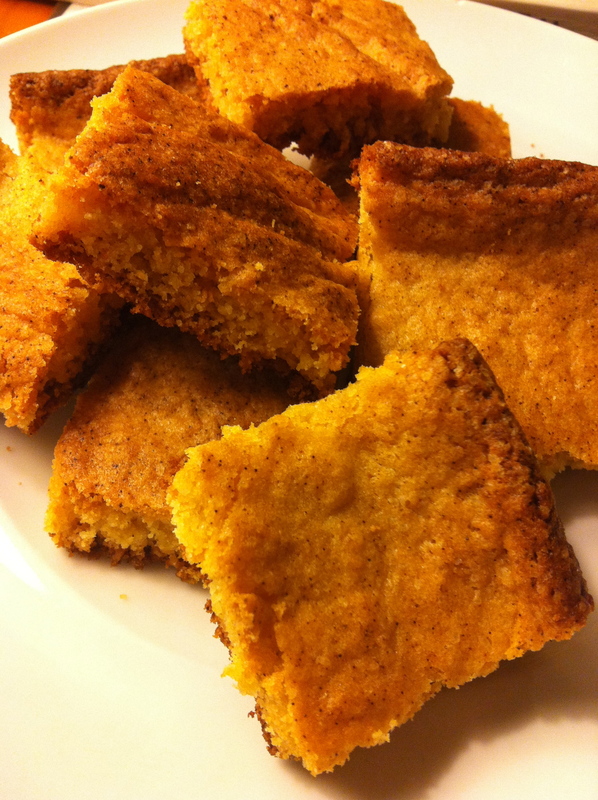 I have never been able to reproduce the blonde brownies I made from that book. Until now! In a separate bowl combine sugar and butter until creamy. Add eggs and vanilla extract to the sugar and butter and beat until combines. Add sugar mixture to the flour and fold together. The mixture will now be somewhere between a cake mixture and a doughy cookie mixture. 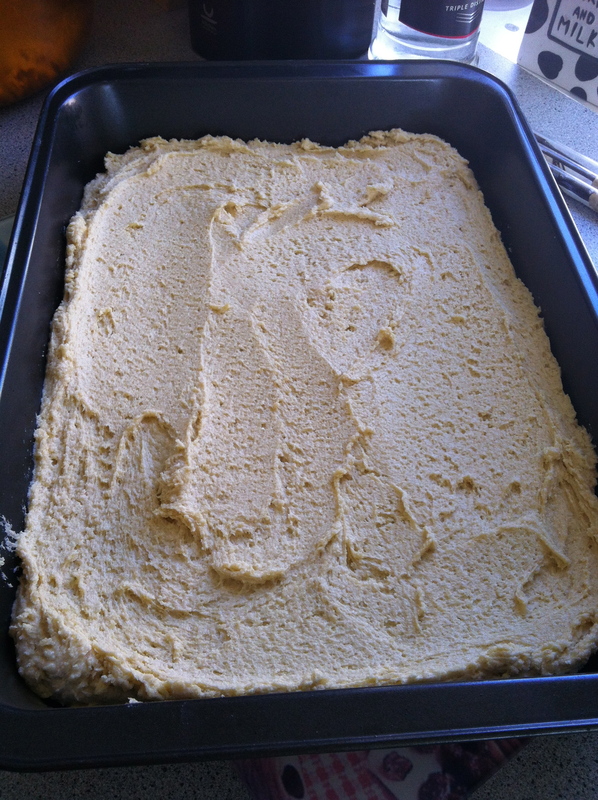 Scrape the dough into your prepared pan and spread it out. It doesnt have to be very thick but should be an even thickness throughout. Bake for 20 – 25 min. Leave to cool slightly and cut into squares or rectangles depending on how big you want the pieces.